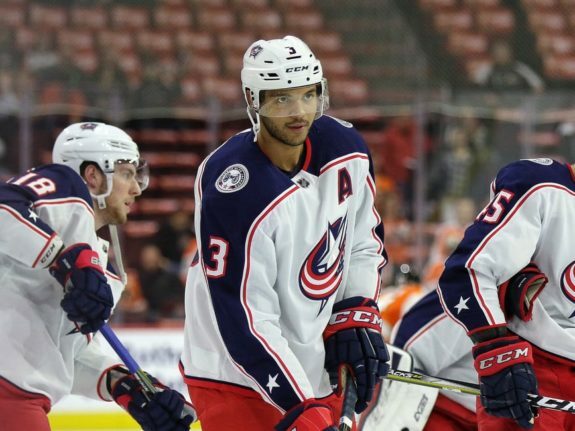 When people debate the best defensive pairings in the National Hockey League, there’s no denying that Columbus Blue Jackets defensemen Seth Jones and Zach Werenski have to be included in the conversation. How have they succeeded so far this season? Let’s take a look. 23-year-old Jones and 20-year-old Werenski may be young, but together, they are proving age is just a number as they shut down opponents’ top lines night in and night out. 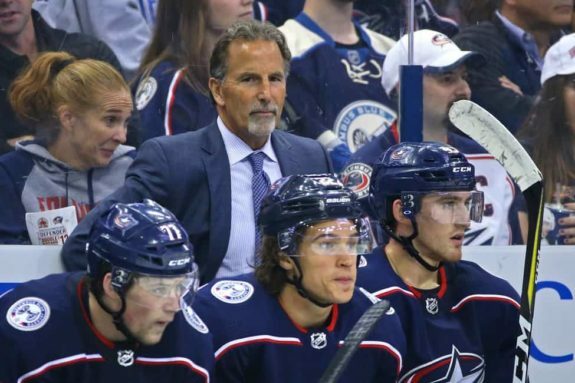 Blue Jackets head coach John Tortorella said that was a bigger responsibility he told the two they would take on at the start of this season as opposed to teammates Jack Johnson and David Savard, who saw the majority of those minutes most of last season. Jones said he has enjoyed the added responsibility. 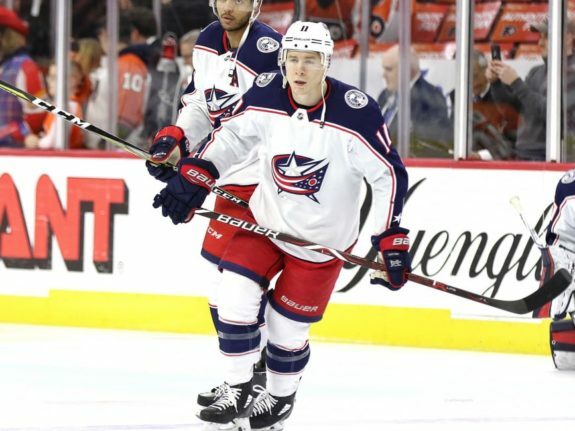 Fellow blueliner Jack Johnson said that the coaching staff has also trusted Jones and Werenski more to join the rush. Together, Jones and Werenski have combined for 78 points, including 27 goals, through the Blue Jackets’ 69 games. Personally, they each set career highs in the point production department already — Jones has 46 points and Werenski has 32. Jackets defensemen have now scored five of #CBJ's last 11 goals (past three contests). Jones/Werenski with two each and Cole with one. 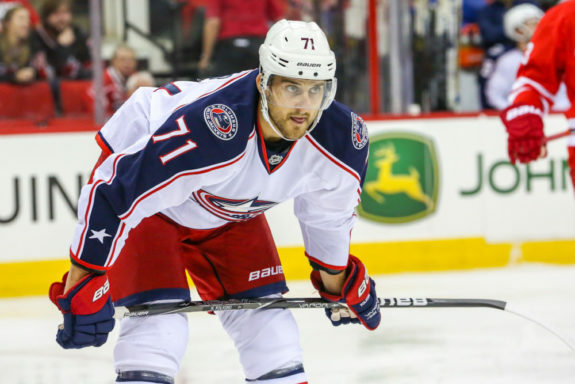 Fellow teammate and Blue Jackets captain Nick Foligno said he is happy for Jones and that the way he plays is paying off in ways other than goal prevention. Foligno also added that the defensemen scoring makes the forwards’ jobs that much easier. Adding to that, Werenski and Jones are battling it out for a franchise record: goals scored by a defenseman. Werenski set it with goal No. 14 on Thursday against the Colorado Avalanche, but Jones’ two on Friday put him one back of the youngster. Their teammates are definitely watching what happens. Calvert said there is “money on the board” when it comes to team records. Fellow defenseman Jack Johnson also credits Jones and Werenski’s success to playing together for so long. Johnson said two defensemen playing together for that long is an anomaly in the NHL. Jones also credited his chemistry with Werenski for their undeniable success. The two are also friends off the ice as well. The biggest area the Blue Jackets have seen Jones grow? Stepping up as leader, both on and off the ice. That facet has really impressed Tortorella. Captain Foligno also recognizes what Jones contributes from a leadership perspective. Calvert said that Jones has definitely taken on more of a teaching and leader role with Werenski, but also provides great balance for Werenski’s natural skill and abilities. With the addition of Ian Cole from the Pittsburgh Penguins at this year’s trade deadline, Tortorella said his blue line is well-rounded, and that guys are finally starting to hit their strides. When asked whether the defensive corps is doing anything different this season, Jones said they haven’t. He also credits puck luck with the offensive outburst lately. Johnson said this is the most skilled group of defensemen he has ever played with, and said that is because of the culmination of their talents. 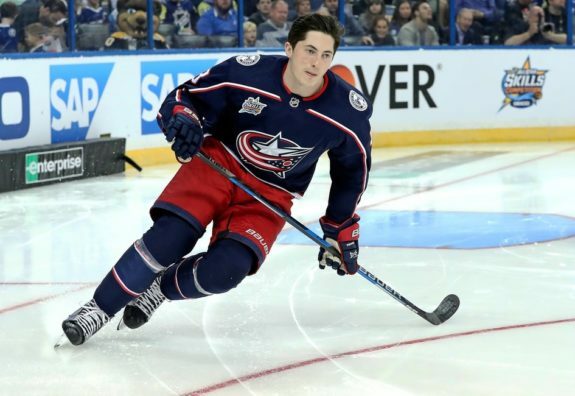 With both players still in their early 20s, Tortorella and the Blue Jackets know Jones and Werenski will continue to improve. That’s scary for every team playing against them when they are already this good. Tortorella knows that Jones especially, despite being a two-time NHL All-Star, is still criminally underrated around the league. When Jones and Werenski reach their prime, they have the potential to be included in the conversation for best defensive duo of all time.